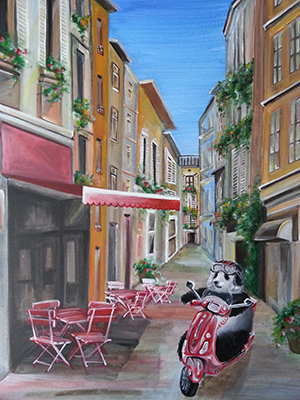 This painting is part of a series where a panda travels his way around the world. Follow our panda friend through the streets of France on his blazing red moped. This painting is currently on display at Baguette & Co.